This lure has become one of the largest selling lures in America with a customer base in ALL fur zones. You can depend heavily on this lure ALL SEASON long. Used with Widowmaker paste bait creates a deadly combination. 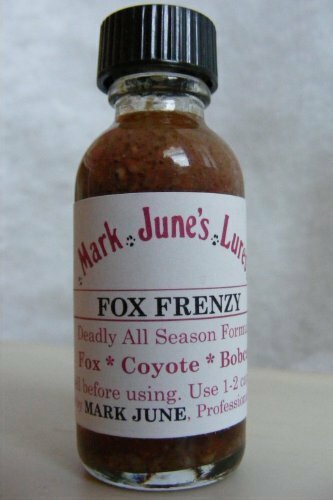 All season lure for red and grey fox, badgers, coyotes, bobcat, lynx, and most main predators. Thick blend of fox glands and musks. Deadly combo when used with Mark June's Widowmaker Paste. If you have any questions about this product by Mark June's Lures, contact us by completing and submitting the form below. If you are looking for a specif part number, please include it with your message.